Foreigners or non-Schengen nationals who wish to visit Europe need to obtain a tourist, business or student visa. However, acquiring a Schengen visa is not as easy as other country’s permit visa, there are difficult standards and stringent rules that need to be obeyed by an applicant to get a new visa for any European country. Schengen visa is only one visa that can give access to all the 25 European countries. Now, with this visa, traveling between European countries is similar to traveling among various states in the United States. This transit visa is required by a few nations to allow passengers to pass through the region. Anyhow nationals need to get this visa only if they wish to stay in the area for tourism or business. 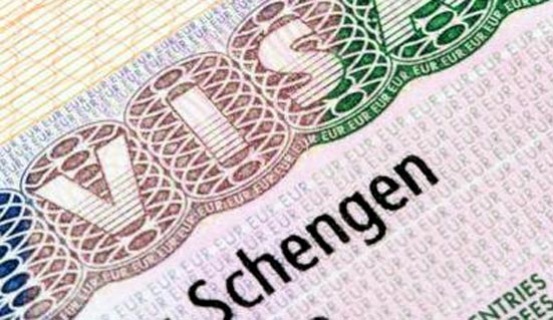 Nationals such as Americans, Australians and Canadians are exempt from the Schengen visa requirement for staying not more than 90 days in the country. You need to have a valid passport that has a minimum of 3 months validity after your scheduled return from the Schengen Area, only then you can apply for a Schengen visa. You can find plenty of Schengen visa services dedicated to providing the essential details and information about the application process. Or you can also hire a consultant service that can provide consulates of the required region or the country. The consultants can give a broader idea about the country so that you won’t encounter any surprises after your arrival to the place. Ask them to provide an application form or you can download from the Schengen official website. You are required to submit two passport size photographs detailing your head in between 70 and 80 percent of the total frame. Do not staple the photocopy to the form, it should be glue on the application form and need to be submitted, and the other should be submitted loosely. Not to mention, the two photographs should be of high-quality, clear and with a good back-ground (preferably a light-colored background). You need to mention the mode of depositing or paying for your trip – credit card, debit card, PayPal or traveler’s check. Other proof of identity like bank documents or a copy of traveler’s check needs to be provided. Visiting Europe is an exhilarating experience and getting your Schengen Visa without any hassles with help you start the trip on a positive note. Contact Opulentus today for an easy processing of your Visit Visa to any Schengen Area. We also provide documentation assistance to Study, Work and Permanent Residence Visas. Ask free evaluation service provided by Opulentus for eligibility and requirements.